This is very much a buzz phrase, whether working with blue-chip, third sector, education or SMEs, I’m hearing senior leadership teams reaching out for advice and to gain a greater understanding of what BT means for them. In simple terms, we are talking about the re-alignment of an organisations staff, activities and business technology with the strategic vision the organisation. Get all that humming and how could you possibly fail? Well, introduce a changing market, new legislation, FeBrexit (fear of the impact of Brexit), talent migration from your organisation and add in a healthy dose of entrepreneurial ‘new direction’ for the Chairman or MD. Whilst it seems obvious that a successful enterprise would have this alignment in place, it is organic growth or these pivotal moments in the history that can easily knock one of several of these factors out of alignment. Getting talent in your organisation to work towards a greater good can mean one of three staged approaches. Which route you choose may well depend upon the sector you operate in, the organisational structure you have in place and the individual personality traits within the very team itself. Are you are micromanaging their every move? If so can you afford to do this and does the team respond well to this approach? Growing businesses, where new tiers in an organisation need to be created, often require this approach – but it should only a transformative step. The next stage allows your talent to have a degree of autonomy in their roles. You have expectations, they know what you want and you manage them directly in exceptional circumstances. If this model works for you, then more power to you and perhaps you are ready for the final stage; Giving the team a freer reign to manage beyond their authority. There is a risk in this approach but if you truly believe in freeing the spirit of untapped potential in your team then give them wings. Bring your own device strategy to keep costs of staff IT low but effective. Workplace automation of non-value adding processes to give staff more client face-time or the opportunity to stay on top. Self-service systems that enable your suppliers and customer to be part of the business process experience. Big data analytics and blockchain transactions to enable AI top cover off much of the heavy lifting of your numbers. If you are not talking about this with you Senior Leadership Team – I ask you why not? If you think that digital disruption only affects Dell and Xerox then think again. The long-held belief that ‘we have always done it this way so that must be the best way’ is not always correct. Sometimes it takes the eagle eyes of an outsider to spot this and help your company adapt. This may come in the way of a new employee, one that has come from a related organisation and offers a quicker, slicker, more effective way of getting the job done. A business that embraces change usual stay one step ahead of their own bureaucratic debris. The most common approach comes in the form of the business transformation consultancy service of companies like my own, beyond touch ltd. Parachuting in consultants to work with teams of people, defining processes, documenting and validating tasks, analysing their impact on business success, building improvement plans at tactical and strategic levels and finally ensuring control measure are embedded into your business systems. We take pride in an adaptive approach. It is just as capable of solving global business problems for Xerox, as it is in delivering localised operational change for UK SMEs like Artisan Plasterworks. Our methodologies achieve measurable results irrespective of size. We reduce complexity, amplify effectiveness and increase the energy in a business. 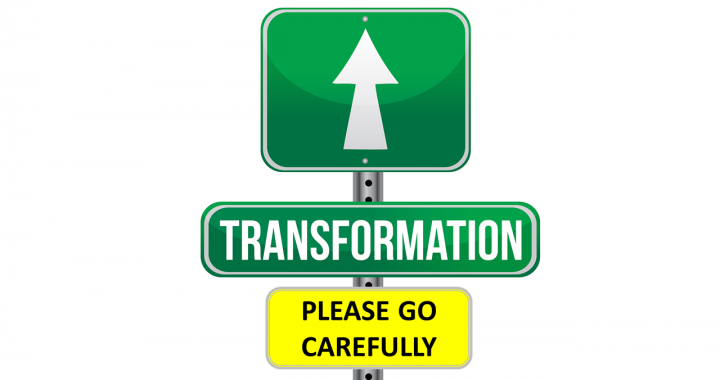 Isn’t it time you and your team were transformed? Posted in innovation, lean and tagged business, CSR, Grants, Lean, sales, Strategy, Technology.